If you want to use the Android System Webview and want to read about Android System Webview App then read this article. The Android operating system is made up of small components and being a user, there are possibilities that users wonder what the particular app is all about. An Android app user may even think that whether a particular application is vital to your device’s performance or not. Whenever your phone has low space and you are restricted to uninstall only certain apps, you may speculate if you need to keep or remove these apps. At first instance, you may not have an idea on what are its utilities and importance. It is recommended to leave system apps in the way they are because removing them by deletion can lay a negative impact on your phone’s performance. One such system application i.e. Android System Webview can be found on your Android-based device that is running at Android 4.4 or KitKat and higher version. It is common that Android users have confusion regarding what is Android System Webview and why do I need android system webview. Let’s have a look at different sections related to this. 1 What is the Android System Webview App and how can I use it? 2 What is Android system Webview? Should I update it? 3.1 How can I install Android system webview? 3.2 Can I disable Android System Webview? 5 How to enable Android System Webview in Redmi note 4? 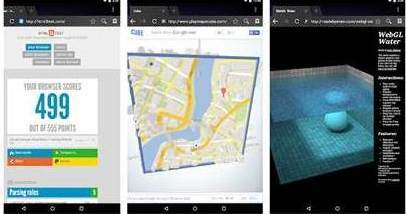 The Android System Webview App is essentially a Chrome-powered component which enables apps to depict web components inside the app, eliminating the need to open the browser or close the app. The app allows third-party apps running on your Android device to launch web pages within the app itself, as an alternative to launching the web page on the mobile device’s default browser. It is found that there is minimal Android System Webview virus. To understand this, for example, if you are on Facebook, using on your mobile device when you click on a link, it would start off the web page in an in-app browser. It would not open it inside Firefox or Chrome. Recognized as mini-browser of different types, it comprises of every essential feature of a browser required to read an article like zoom in and out, navigate history, scroll up and down, text search, etc. If you wish to know what does android system webview app do and its uses read below. Before the development of this app, users often have to leave the Facebook app and then open that link inside a web browser. In order to navigate back to Facebook, users would need to close the web browser and then again open the Facebook app. For simplifying this process, the operating system -Android has developed the Android System WebView app using which you need not have to open the browser. The only requirement is to click on the link to open it inside the app. What is Android system Webview? Should I update it? The android system web view is recognized as the system application of recent Android versions which assists users to view web pages in some other applications like Twitter. There is no need to come out of the application to open a link. Android users usually ask on is android system webview necessary and is it necessary to update it. Updating the application would help you to resolve the bugs present within it. Moreover, it will also convey performance improvements. Therefore, updating it will let it easy to use. In case you don’t require that functionality then you can uninstall every update and you can get android system webview disable. Android Webview is basically a system component which is powered by Chrome and it facilitates Android applications to show up web content. The component is known to be pre-installed on your Android device. Furthermore, you must keep it up to date to make sure you get the advanced security updates and bug fixes. It is known that the present version of this APK is 67.0.3396.87. It is made available in english and you can download 53 versions, in total. You can download APK and then open it with the help of your preferred File manager. Later, you may install it by clicking on the file name. In case the installation process does not begin, you should keep the unknown sources as checked from your Android settings. How can I install Android system webview? In Android 4.4 KitKat version, the application was modified to allow it to be more user-friendly as compared to its Jellybean version. Inside Android KitKat, the app was basically Chromium-based and functioned identically to the Chrome browser. WebView has modified into a unique app on the play store, after KitKat, inside Android 5.0 Lollipop. This is done in order that Google could drive updates as well as bug fixes straight to the app and will not update it from the OS as earlier. 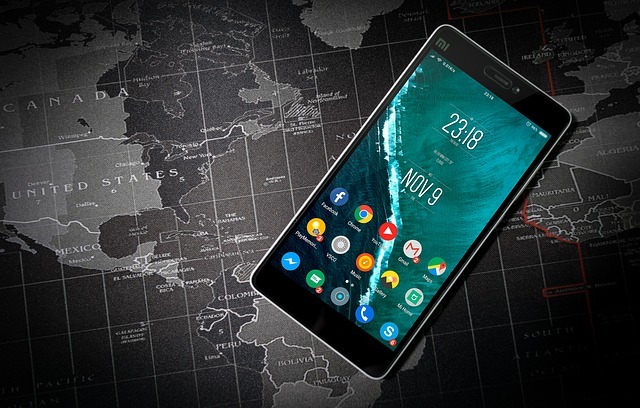 It is known that Google confirmed to let it a separate app due to the vulnerabilities which were seen in WebView in versions like Android 4.3 and lower version. Being a separate app, if there are any vulnerabilities then they can be resolved directly, excluding the wait for an OS update. If you are an Android user, you need not have to do anything for the installation of the app or to operate it. The application is essentially installed by default and operates in the background. Moreover, this application runs with the help of user clicks over a link from an application which supports WebView. Keep in mind that every app does not support WebView. This is the reason behind why the links still open in the browser occasionally. Can I disable Android System Webview? If you are confused on can I uninstall android system webview or can I disable android system webview then answer is yes? There is an option available to disable or uninstall the app in Android N and low versions. When you look inside your Nougat device, it is possible that you will notice that the Android System WebView application is not enabled. Through the use of Chrome as WebView, the Android device uses a single browser, as an alternative of maintaining WebView as well as Chrome. How to enable Android System Webview in Redmi note 4? Step-2: Developer options would be displayed in Settings > Additional settings, follow this path. Step-3: Now you need to check WebView implementation here. You can select Google WebView now. The Android System Webview App simplifies the use of the Android system for its users. With this android app, there is no need to open a browser or close the app. I am glad to find this information to use Android system webview app. thanks for giving the most significant tips through your writing skills. This is a very interesting review of Android System Webview, Could you please explain further and let us know.